Green friendly repair tool with slide off 1.0"magnetic ball marker. Single stainless steel prong design minimizes turf damage when repairing ball marks on the green. Pocket friendly with "push of a button" secure closure. 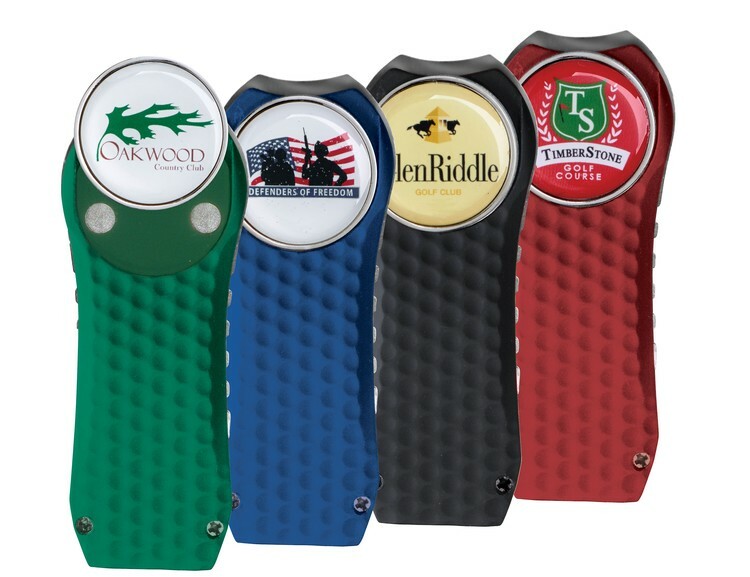 Select from four textured rubber handle options: red, black, green and blue. 3" x 1.25" x .25"